Sarah Glynn – member of Scottish Solidarity with Kurdistan was part of a Scottish delegation to the Democratic Union Party Congress in Brussels, discussing the democratic federalist system they are establishing in the autonomous predominantly Kurdish part of Northern Syria. She reports for Bella here. The Kurdish fighters of Rojava in northern Syria have become familiar to us as the most effective force fighting Daesh/ISIS. But when we met the leaders of their leading political party, the PYD (Democratic Union Party) at their Brussels conference at the week-end, their main message concerned democracy: specifically the grassroots democratic federalism that they are creating in the area where they now have autonomy, and which they hope will spread to other parts of Syria and beyond. The co-presidents of the PYD, Saleh Muslim and Asiya Abdullah – all their organisations have joint male and female leadership – together with Aldar Khelil representing the overall ruling coalition, the Democratic Society Movement (Tev Dem), broke off from a busy day of debates and decision-making to sit down with the Scottish delegation and answer our questions. While theirs is a project that has come out of the struggle for Kurdish freedom, it is very deliberately inclusive of all communities in an area where, as they point out, different ethnic groups have a long history of coexistence. They are replacing the recent era of divide and rule with a bottom-up democracy for everyone. Councils are formed by local communities, so, for example, in newly liberated Manbij, the civil council has a large Arab contingent in line with the makeup of the local population. Community involvement extends to the economy, which they stressed was a ‘social economy’, and we were given the example of government land that had been handed over for shared community agriculture. Of course this new democracy is being formed in the most difficult of circumstances, and they underlined how other countries need to understand the role that Turkey has played in supporting radical Islamic forces in Syria, endangering the whole world. Indeed, since Turkey’s direct military incursion into Syria, there has been no effective resistance to Daesh. They were also clear about the importance they place on liberating Raqqa in order to stop Daesh. They hope the people of Raqqa will then choose to be part of the new democratic federalism – they say they won’t be forced – and observe that the limit to the spread of this new democracy ‘is only in the imagination’. 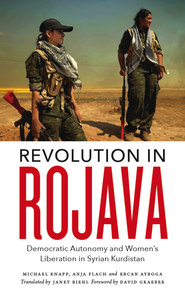 They insist, in line with the Kurdish leader Abdullah Öcalan, writing from his Turkish jail, that the solution is not in a new Kurdish nationalism – that nation states are the problem – and that what they are creating in northern Syria is a new way of doing things. When we asked what we can do in Scotland to give practical help, they emphasised the need for outspoken support for their democracy, including from Scottish politicians (and mentioned the support they had received from Jeremy Corbyn). They need international politicians to insist that the PYD play a full part in any diplomatic discussions and negotiations on the future of Syria, and that democratic rights for the Kurds be recognised in any new Syrian constitution. And if they could give a message to our First Minister? 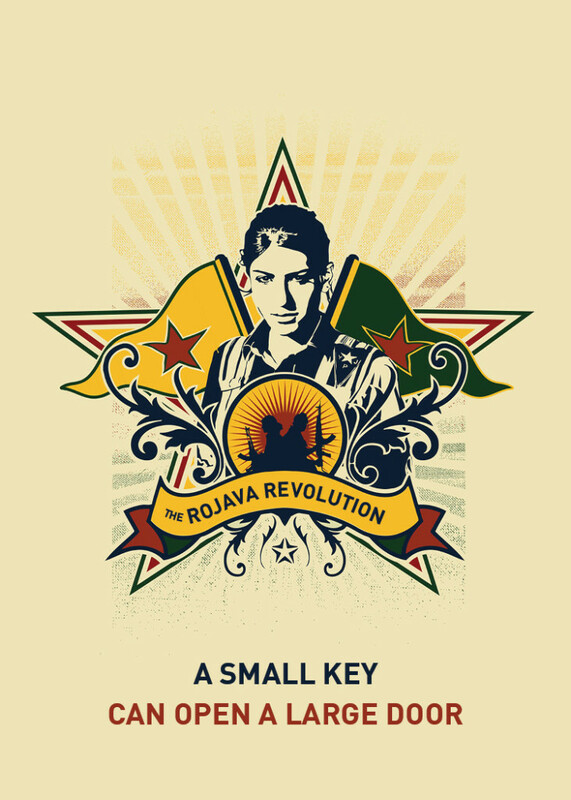 They would ask her to support the democratic system that is being developed in Rojava, which can be an ideal system for the future. Thanks for this piece. On the issue of “this is what democracy looks like” (spot the attempt to segue to an off topic item) there’s a major event on tomorrow Sat 1st Oct in Glasgow featuring Bella’s own Mike Small which, unless I’ve missed it, I haven’t seen promoted on this site. Certainly looks to be the way forward,we should be hammering home the message that an independent Scotland is not/will not be isolationist,we will still be part of the British Isles we will co-exist and trade with the others,all it is about or should be is that we elect and govern ourselves,for the benefit of all Scots and probably for the others as well.